Very Mental in the early 80s: Pat Thorpe, Donagh O'Leary and Ken Webster. 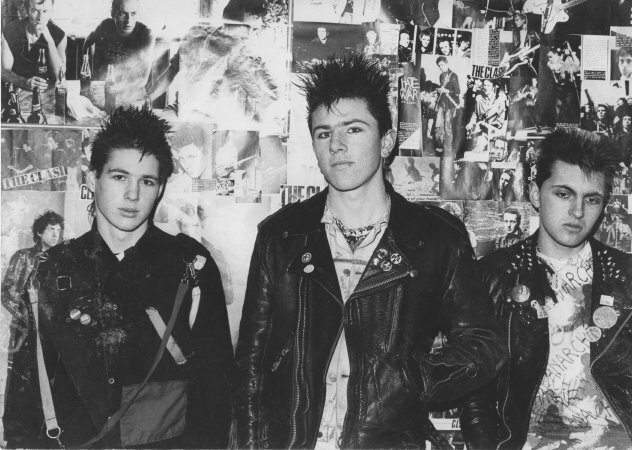 Dublin area punk band renamed Drunken Jury sometime after releasing their only single (some say the name change was a week later, some say it came in late 1983 - they were certainly Drunken Jury by September '83). 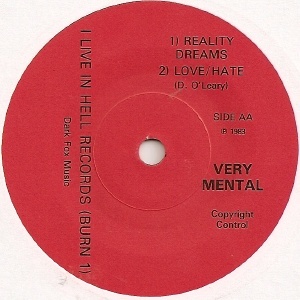 The contact address for the label was Dalkey but some sources claim the band was from Dun Laoghaire -- in fact it was both. 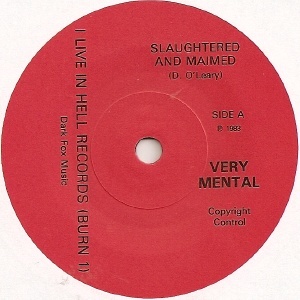 The single had a very small pressing and is almost impossible to find now. Ken Sullivan plays drums on the A side, while a drum machine was used on the AA side. His brother David 'Sullo' Sullivan joined after the single. 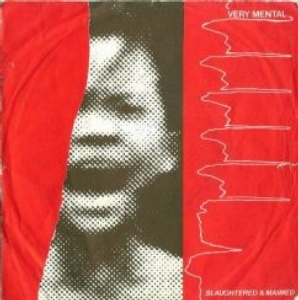 Very Mental live ca 1983. LR: Pat Thorpe (? ), Ken Webster (in hat), David Sullivan. Drunken Jury played at the "Let's Get Serious 2" punk festival held at the TV Club on the 30 September 1983 featuring the cream of Dublin's punk bands at the time plus UK headliner Conflict. 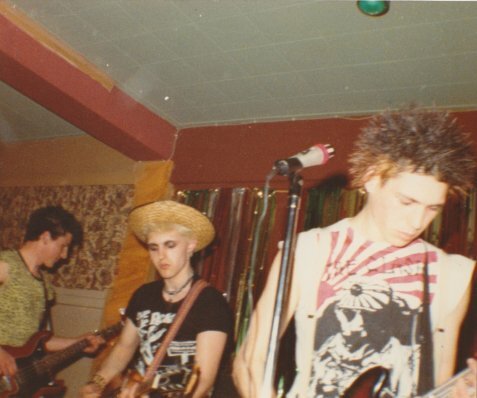 According to the scene report in MRR #17, published September 1984, a second EP was planned. Ken Webster left the band in late 1983 and went to London. He later joined the Foreign Legion in France. Donagh O'Leary also moved to London where he is now based and has played in various outfits (Jesse James, Dave Vanians Phantom Chords, The Wild Frontiers, Naz Nomad & The Nightmares, Tenpole Tudor) and done session work with Marc Almond and Peter Perrett a.o. Pat Thorpe is currently in the Ultra Montanes. 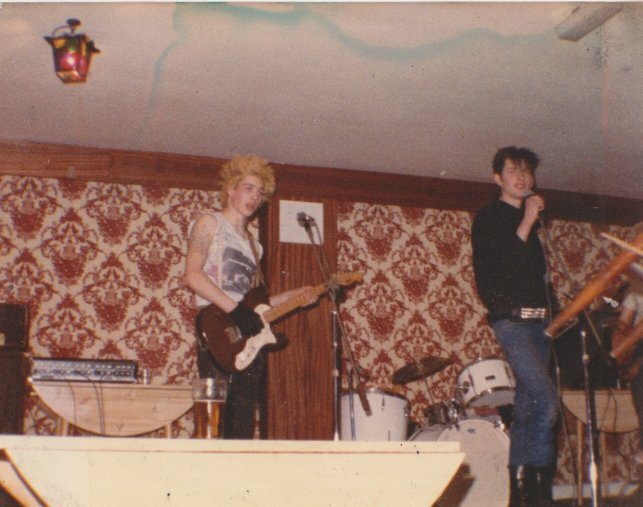 Another member Gipo (later of Stigmata Martyr, now in the Dubtones) later formed Raw Hide with Donagh O'Leary. Both tracks are published by Dark Fox Music, associated with Deke O'Brien.